I was very excited to see the little green crocus sprouts coming up out of the snow a couple of weeks ago. Spring time is so amazing to me, one day the trees look dead and ugly and the next they have little green buds on them. As spring moves into Easter, we celebrate the resurrection day of the Lord Christ Jesus. 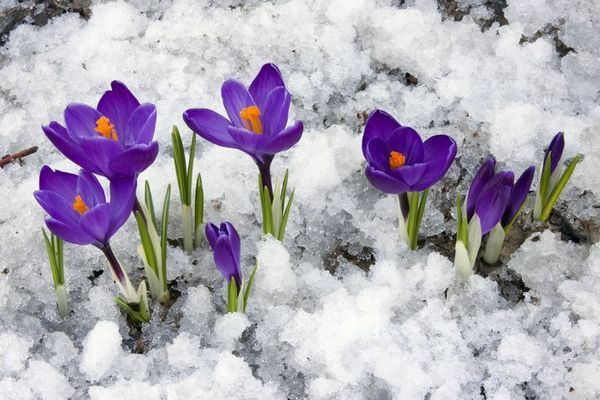 It is a time when the deadliness of wintertime is past, and new life of springtime begins. It is a resurrection time in nature. The dead grass, flowers, and trees all begin to experience a springtime resurrection. Even the singing birds join in the springtime celebration. The squirrels seem happier and the skies are brighter. April showers bring even more flowers. Easter represents new life. At Christmas, we celebrate His birth. At Easter, we celebrate the resurrection of our Lord and Savior. Jesus Christ died on the cross for our sins, but then on the third day He rose from the grave as our Risen Savior. Hallelujah! He is alive. “And if Christ be not raised, your faith is vain; ye are yet in your sins” (I Cor. 15:17). Thank God our faith is not in vain. He arose! He is alive! Our sins have been forgiven. Silver City Gospel Mission is so very thankful to all of our loyal financial donors as well as our amazing prayer warriors, and our very special volunteers. We could not operate without you all! Come by soon and take a peek at our spring-cleaning projects! Share the post "Spring has sprung"
This entry was posted in Uncategorized and tagged gospel, gospel mission, hope, mission, silver city. Bookmark the permalink.